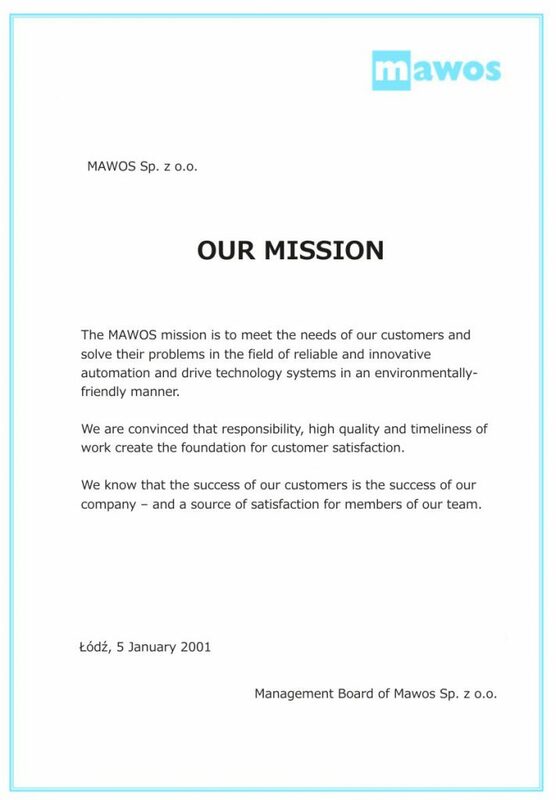 The MAWOS mission is to meet the needs of our customers and solve their problems in the field of reliable and innovative automation and drive technology systems with full compliance with environmental requirements. We are convinced that comprehensive service, high quality and timeliness of work aa well as efficient service create the foundation for customer satisfaction. We know that the success of our customers is the success of our company – and our satisfaction. – in the past, now and in the future.